FALKENBACH - ASA LTD. EDIT. (2CD ARTBOOK) | Online Shop | Wizard LTD. Album: "ASA LTD. EDIT. 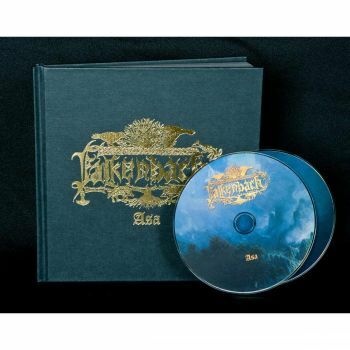 (2CD ARTBOOK)"
Falkenbach's first album under the banner of Prophecy Productions. Six months after the acclaimed vinyl-single "Eweroun", Falkenbach release their sixth album "Asa", the Heathen Metal forerunners' worthy debut on Prophecy Productions. "Asa" is an all-out typical album for Falkenbach and combines elements from all creative periods of the project. It is characterised by a steady flow of both mellow and aggressive passages, blends harsh vocals with clean singing in an almost extinct West Germanic dialect and is once more remarkably epic as well as wistful. With this successful amalgamation of tradition without any cliches and fiery passion, Falkenbach again prove their superiority in the face of trivial "Pagan Metal".